Tune in to Nickey Radio via their NEW web site. They are a non-profit community radio station serving residents and business in Harpenden, Hertfordshire, and the surrounding areas. Nickey Radio provides news, views and plays the kind of music YOU want to hear. They invite residents and schools in the district to join them and add their voice. They want presenters and budding DJ's as well as local businesses to support them. Nickey Radio broadcasts online at the moment but aims to be on FM soon once frequencies become available. 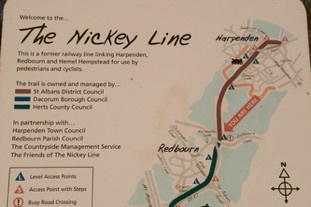 Nickey radio is named after the railway which ran from Harpenden to Hemel Hempstead from 1877 until 1947. 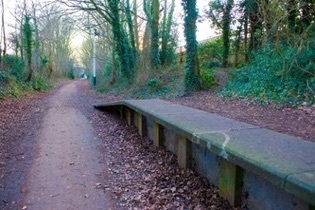 It is sad the line was closed but the route is now a lovely walk through the countryside. A team of researchers at Imperial College London, in collaboration with Rothamsted Research, have used medical imaging techniques to explore why making willow trees grow at an angle can vastly improve their biofuel yields. Using micro-CT scans, the team showed that the trees respond to being tilted by producing a sugar-rich, gelatinous fibre, which helps them stay upright. Rothamsted researchers, in a study lead by Imperial College London, worked with experts at the Natural History Museum, and the University of Surrey to use X-ray micro-computed tomography (CT scanning) to examine the willow’s growth through high resolution 3D images. This enabled them to see the changes in the willow at a cellular level and how they affected the plant’s growth. They found that tilted willows prolonged the life of certain cells in order to produce a sugar-rich, or gelatinous, fibre, to help them stay upright. The team were able to measure how much longer the cells needed to stay alive to produce the special fibre. “It was difficult to see why the trees were releasing so much more sugar when stressed in nature or grown at an angle. Being able to visualise the differences occurring at a microscale, or cellular level, allowed an insight into the biology behind the macroscale effects on the whole tree,” explains Dr Nicholas Brereton, from Imperial’s Department of Life Sciences. “Willows are naturally very variable, and this includes the degree with which they respond to tilting or bending in the wind. We will be able exploit these new findings in the breeding programme at Rothamsted to produce better willow trees for industrial uses without the need for any genetic engineering “ explains Prof. Angela Karp, Department of Agroecology, Rothamsted Research. The research, funded by the Biotechnology and Biological Sciences Research Council (BBSRC), and published in BMC Plant Biology, was part of the Perennial Biomass Crops Programme, one of six hubs making up the BBSRC Sustainable Bioenergy Centre (BSBEC). The next step for the team will be to use even higher resolution CT scanning to investigate the gelatinous fibres in more detail. The aim will be to measure how much of the fibre is produced by different plants, which will help identify which species of willow are likely to be the world’s best 2nd generation biofuel producers. Omega-3 fish oils specifically long-chain polyunsaturated fatty acids (omega-3 LC-PUFA) eicosapentaenoic acid (EPA) and docosahexaenoic acid (DHA) are acknowledged by the medical community to be beneficial components of the human diet. The primary dietary sources of EPA & DHA are marine fish, either wild or farmed (aquaculture). Although some types of omega-3 fats are available from other sources in the human diet (such as flax seeds), the nutritionally-beneficial omega- 3 LC- PUFA EPA & DHA are only available from marine sources. Fish, like humans, accumulate the omega-3 fish oils by feeding on other organisms in the marine food chain or, in the case of farmed fish, through fishmeal and fish oil in feed. Farmed fish is a rapidly growing sector, and today over half of the fish consumed worldwide comes from aquaculture. As the production of fish through aquaculture increases so does the need to find alternative sources of omega-3 fish oils. Rothamsted's new data - which demonstrate an important proof of concept that a crop plant can be engineered to synthesise these beneficial fatty acids in seeds - provide hope for sustainable land-based sources of omega-3 fish oils, thereby releasing pressure from the oceans. Rothamsted scientists, strategically funded by the BBSRC, have already shown that they can successfully engineer Camelina sativa plants to produce non-native EPA and DHA, by introducing a set of seven synthetic genes based on the DNA sequences found in photosynthetic marine organisms. Although previous experiments in glasshouses had given positive indications for the performance of this trait, this trial demonstrated the stability of the trait and the ability of the GM Camelina plants to synthesise useful quantities of fish oils without any negative effects on yield. Monitoring of the plants grown in the field showed no obvious phenotypic differences in the growth, flowering or seed-set of the GM Camelina plants when compared to the non-GM control plants. 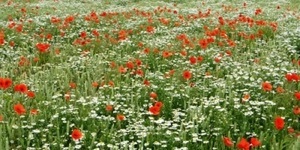 The field trial conducted at Rothamsted Research’s experimental farm continues this year. In the field this year two GM Camelina lines are sown as well as the non – GM controls. One line is the same as the one described in the current publication making EPA and DHA. The second one is a GM Camelina line that makes only EPA. Analyses and comparisons will be conducted between the two lines. 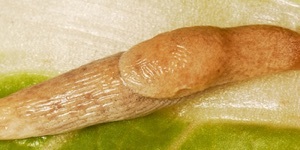 The field trial and the associated laboratory analyses are funded by the government-supported Biotechnology and Biological Sciences Research Council (BBSRC). The scientific paper to be published tomorrow Tuesday 7th July 6pm (full details below)will be available in open-source format from the journal Metabolic Engineering Communications. 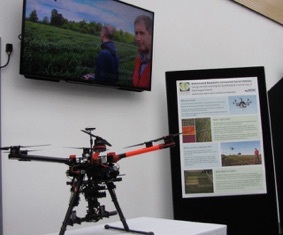 Unmanned Aerial Vehicles help to accelerate the monitoring of field experiments at Rothamsred. UAV’s can scan huge farm fields in a far shorter time than traditional farm practices and provide much more accurate data to help farmers to be more efficient. Crop growth, yield and nutrient requirements are all measured via a process called phenotyping. So how’s it done? The UAV’s carry conventional RGB (red, green & black) cameras, a multispectral near infrared camera and a thermal infrared camera. In the short term scientists at Rothamsted will use the data to test the efficacy of new breeds of wheat to help increase yields to 20 tonnes per hectare within the next 20 years. The CROPROTECT App shares information with farmers and agronomists about pest, weed and disease management. Crop protection is an issue of increasing concern in the farming community. Improved access to information about managing pests, weeds and diseases is needed as conventional pesticides are being lost due to evolution of resistance or because of changes in legislation. The CROPROTECT App is a novel smartphone App (for Android and iOS) and provides information for farmers and agronomists about pest, weed and disease management. It will be particularly useful in situations where effective pesticides are not available and alternative or integrated approaches are required such as agronomic practices, biological control methods or resistant crop varieties. The CROPROTECT App enables even easier access to the information also available on the website https://croprotect.com/ and is an output from the CROPROTECT project that shares key information and management recommendations about target pests with farmers, agronomists and other end-users. The project is developing and providing a two-way web-based free knowledge exchange resource through which farmers and agronomists can get specific information relevant to their needs. Farmers and agronomists can also provide their feedback regarding the issues that they face in the farm. Dr Toby Bruce, Rothamsted Research senior scientist who co-ordinates CROPROTECT, discussed requirements with users and many of them said they wanted an App for improved accessibility. Dr Toby Bruce commented: “We are listening to the needs of the farmers and agronomists. We know that they are the experts for their local fields and we are aiming to give decision support not decision making”. The overall intention of the project is to provide key pieces of information that farmers and agronomists need for their farm management. As the system evolves, it is envisaged that it will include more links to further online resources. Further engagement with the end-users will facilitate advancement of the tool, which is being built in partnership with users and in consultation with the online farming forum AgriChatUK, the AHDB levy board, agronomist organisations (Hutchinsons, Agrii and the AICC) and the National Farmers Union. CROPROTECT is being developed by three crop protection experts from Rothamsted Research, which receives strategic funding by the BBSRC, with technical help from Ether Creative. Bed Bugs in Harpenden? Yes, but under safe keeping for research at Rothamsted Research. An international study of the genetic code of bed bugs reveals that these human blood feeders are adaptive and hardy. A group of over 80 world wide scientists (inc Dr Jing-Jiang Zhou at Rothamsted Research), has today [2nd February] published in Nature Communications. The research involved the rearing of bed bugs to extract DNA from their cuticle, which is what forms the outer protective skeleton of the insect. This was followed by sequencing, automated annotation, and manual analyses of the bed bug genetic code or, what the scientists call, the genome. The research provides a full annotation of the genes which makeup the bed bug genome. The research has uncovered underlying characteristics surrounding fundamental questions such as why bed bugs feed only off blood, and how they can survive an entire year without a meal. Dr Benoit said: “If someone’s home is infested and that person leaves the premises for a few weeks in the hope that the bed bugs will go away, that isn’t going to happen. The bed bugs will be hungry and waiting for when the ‘host’ gets back home”. Dr Zhou concluded: “Almost certainly humans and bed bugs will remain closely associated for the foreseeable future. 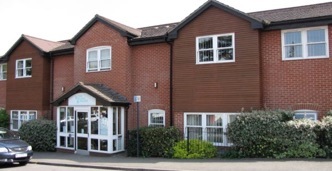 Harpenden’s 3 GP Surgeries registered patients = 43,274. SO if the numbers are accurate where do all these people live? (Redbourn and Wheathampsted have their own surgeries. OR are the numbers duplicated OR are they simply out of date? WELL, on average GP Surgeries are funded at £136 per patient so the numbers generate high income. THE average number of patient visits per year is 7 giving a cost per visit of £19.42. YES it’s obvious that very young patients and elderly patients have more than the average number of visits. These figures do not cover the prescription costs. AND YES we know averages disguise the actual numbers BUT something is amiss? 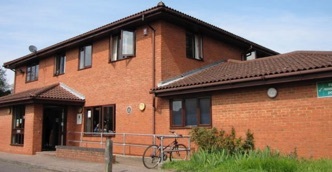 WITH more and more homes bing built in Harpenden how will GP Surgeries cope with this influx? 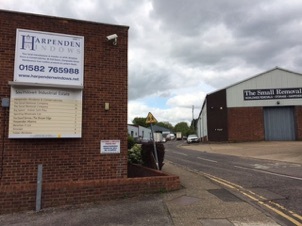 Southdown Industrial Estate is home to many established businesses in Harpenden and designated to retain its commercial status in Harpenden’s Neighbourhood Plan. Local businesses are an important part of Harpenden’s diversity away from being just a dormitory town. 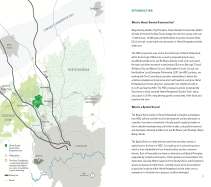 The Town Council have recognised this and have included industrial development as a strategic element of the Neighbourhood Plan. 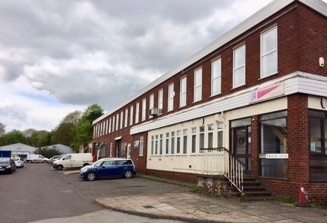 The existing Southdown Industrial Estate is home to over 20 established businesses both small and large several of whom have traded there for many years. This area has been designated as an industrial area going forward and will hopefully secure this status when the Neighbourhood Plan is approved in the Referendum by Harpenden residents later in 2018. 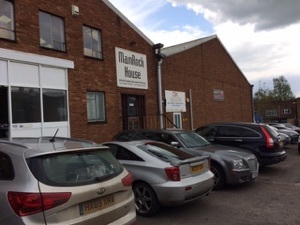 One example of the businesses here is MAINROCK Furniture and Interiors who have been established in Harpenden for many years. They offer a design, supply and installation service for business locations-offices; receptions; work areas; boardrooms; kitchens and rest rooms. Products include furniture; glazing. flooring; lighting; air conditioning; decor and graphics. 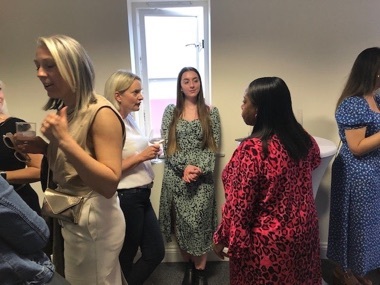 It all starts with the in house design team who will assess the workspace situation and supply a detailed plan which once approved will be actioned to bring a totally new look. They service London and the south east. Can The Budget’s £1.5 Billion Plan Save Our High Streets? While many small high street retailers and independent businesses were pleased when Chancellor Philip Hammond confirmed his Autumn Budget plans to spend £1.5 billion on the UK’s high streets, others were less enamoured by what they see as a missed opportunity to properly tax the online giants and ease the pain of the bigger retail stores and their employees. We’ve lost BHS, House of Fraser and Debenhams is in trouble. Who next, our beloved M&S and John Lewis? The £1.5billion comprises £900 million in business rates relief for nearly 500,000 small businesses, plus £650 million for transport and infrastructure improvements, building restorations and potential changes to planning rules to allow shops to be converted into homes and offices. With high streets under threat throughout the UK, these ambitious plans may turn out to be no more than a sticking plaster over a serious problem that is haemorrhaging shoppers and turnover. Revo, the organisation which represents the £360 billion UK retail property sector, said that the Budget failed to deliver on the structural issues facing modern businesses, ducking the responsibility of fairly taxing online business as further online taxation can help create significant business rates reductions for all physical retailers, bars, cafes etc whatever the size of their business. Hammond announced that business rates relief for firms with a rateable value of less than £50,000 would be cut by a third, yet no help was offered to the medium or larger retailers who have had to reduce their property portfolios and employee count. High business rates and high rents are cited as two of the main problems as well as online competition. Helping just the smaller retailers and businesses will not keep the high street alive in the long term. The Budget also detailed a narrowly-targeted digital services tax due to go live in April 2020. Although aimed at technology giants operating in the UK, the tax will only apply to profitable businesses within the tax’s scope, eg online retailers that earn at least £500 million in global revenue. Hammond estimated that the 2% tax on UK revenue will raise over £400 million a year while the Office for Budget Responsibility forecast tech giants could pay just £30 million more under the new tax. In 2017 Amazon’s tax bill halved to £4.5 million. Nov 7. Retailers need to make shopping an exciting experience to win back customers and entice new business. 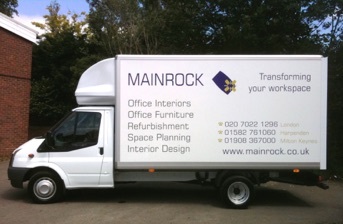 Here’s how a Harpenden business is making it work with their new look. 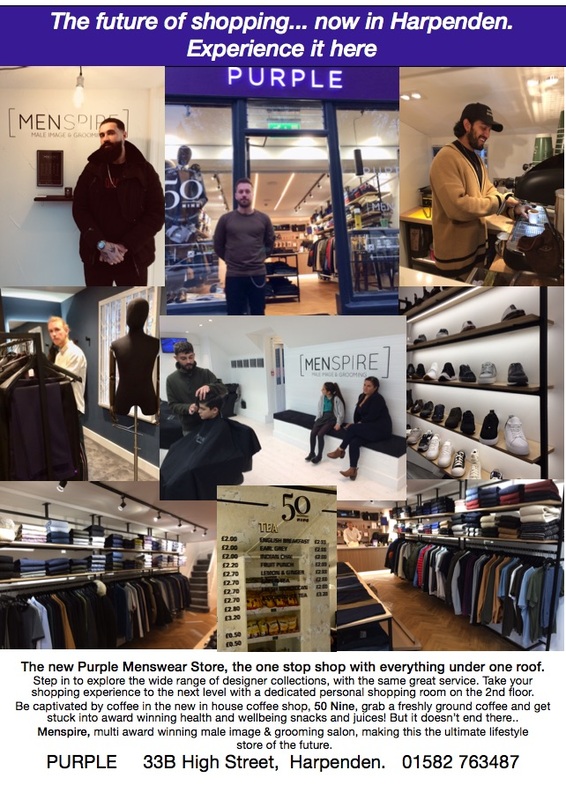 Paul Monks, the owner of Purple with Sam Palmer the owner of Menspire and Dhiras Shetty the owner of 50 Nine who now offer the unique experience on the Harpenden High Street. The Clover Singing Club, a club where ladies can sing and socialise together, is delighted to announce the opening of a new branch based in Southdown, Harpenden. To highlight this event the Wheathampstead group sang at the Co-op Southdown (pictured, with Angelo Imbriano, Co-op Store manager), in December, raising over £160 for its nominated charity, Herts Musical Memories, which organises singing groups for people suffering from dementia, and their carers. The Clover Singing Club meets during term-time in the Randall Room at the Harpenden Trust on Wednesday mornings, and in Wheathampstead at the Mead Hall on Monday afternoons. The Club is run as a not-for-profit co-operative and social events are organised each term. 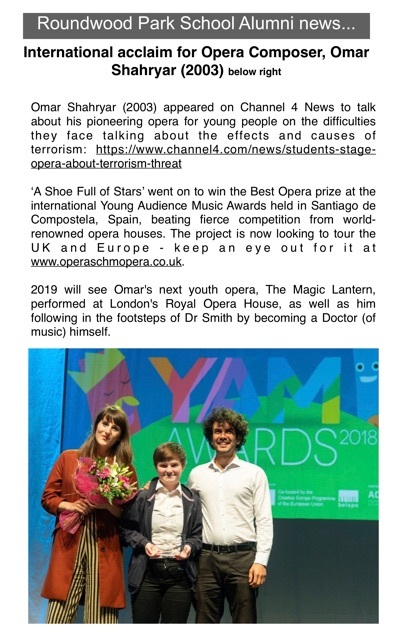 Performances too are part of the programme, but on a voluntary basis only. A former student at St George’s School is about to fly out to Malaysia to spend eight ’months as a volunteer teaching English at a secondary school in Kelantan. 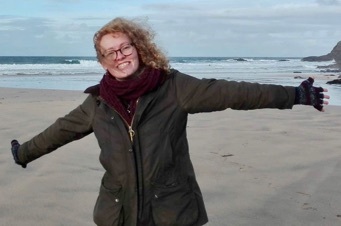 Nineteen-year-old Lottie Apsey has deferred going to university to read biology to take the attachment, arranged by the educational charity Project Trust. Her efforts to raise the £5,500 needed to cover the flights, training, insurance, support and basic overseas living costs included arranging a concert at school and a themed dinner. She also obtained a grant of £500 from Rotary in Harpenden which was doubled to £1,000 by means of a Rotary District matching grant. Lottie said: ‘I’ve always been willing to step out of my comfort zone and challenge myself and that’s what my eight months in Malaysia will mean. I’ll have to learn a completely new language and get to grips with very different cultures, given the country’s mix of Malays, Chinese and Indians. ‘Rotary is an international organisation. The Harpenden community again responded magnificently to Harpenden Trust’s Christmas Appeal – raising a wonderful £52,000 (when Gift Aid tax reclaim is included). The response means that by digging deep into their pockets the people of Harpenden have again provided more than half the funds we require to support local people who find themselves in need. The Trust’s Care Fund budget for this year is equivalent to £2,000 each and every week. The shortfall from the appeal is met by investment income. It is worth remembering, too, that those needs are not always financial; loneliness is an increasing problem as our population ages. This letter is to record a huge Thank You to everyone who filled up one of our envelopes – and also to our 200-plus collectors who brave the winter weather to deliver and collect the envelopes. It’s been 4 years in the planning but eventually work has started on the new pavilion for Harpenden Cricket Club. Local builders Claridge & Hall moved in last Wednesday (Feb 13) and aim to complete the job before the start of the league cricket season. The new structure will feature major improvements to the changing rooms and lounge and improve the viewing facilities for club members. Harpenden’s adult sides will now enjoy some of the best facilities in the county, as will the many junior players – both boys and girls – that make up the club’s growing membership. 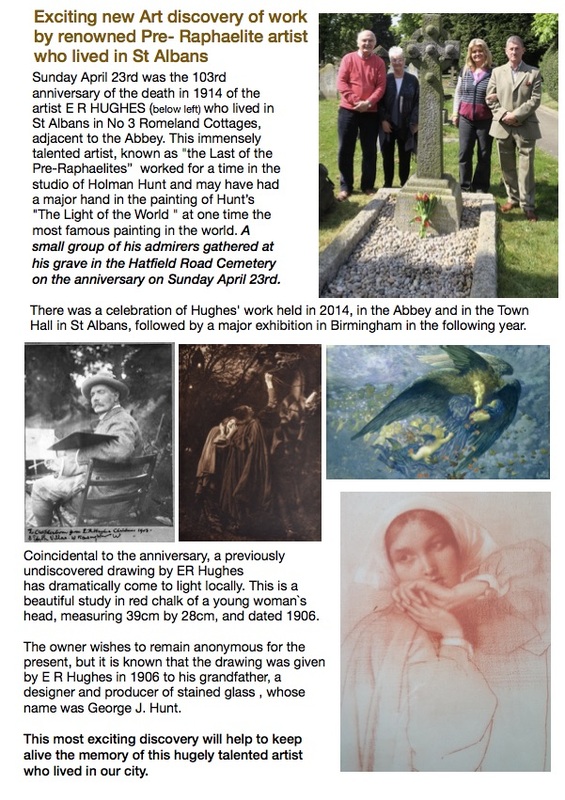 Funding for the project has come from donations from club members and grants from Harpenden Trust, and Harpenden Building Society. The pavilion will also provide much needed space in the town for the community to use outside the cricket season.